-- A MAN-MADE PLAGUE: No disease is more deadly or more enigmatic than the genetically engineered virus known as “Saint Vitus.” Seconds after infecting its victim, the neurotoxin causes massive hemorrhaging, madness, convulsions and inevitably ... death. Experiments show the airborne virus is four hundred times more lethal as conventional neurotoxins – with characteristics that make it ideal for covert biological warfare. A MADMAN’S PLOT: Since its unauthorized “birth,” the abomination has been the U.S. Army’s best-kept secret – until its theft. Now in the hands of Osama bin Laden’s most dangerous terrorist known only as “Gorgon,” Saint Vitus becomes a terrible weapon with truly unimaginable potential for destruction. 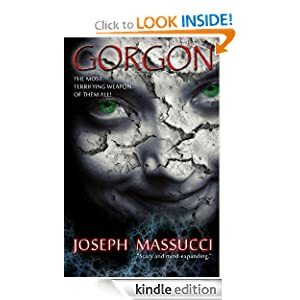 When Gorgon targets the U.S. Eastern Seaboard, a desperate president orders all military resources directed at the virus’ destruction – even if that means unleashing a thermonuclear hell. -- The future stretches out in front of Sarah Dobbs like the pure blue Texas sky. 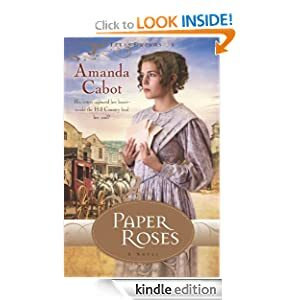 Leaving the past behind in Philadelphia, mail-order bride Sarah arrives in San Antonio ready to greet her groom, Austin Canfield, a man she has never met but whose letters have won her heart from afar. But there is one problem--he has died. And Sarah cannot go back East. Seventeen-year-old Fresco Conte is an ordinary All-American kid from an upper middle-class family. He plays football. His girlfriend is a cheerleader. Life is good. Until unexplained things, scary things, start to take him over. Like surviving an accident that should have killed him. Or hearing the thoughts of the people around him whether he wants to or not. 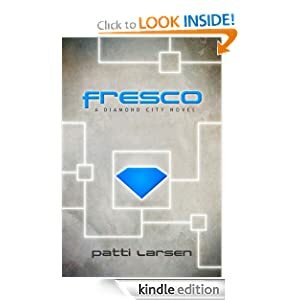 When the men in the dark blue coveralls come for him, Fresco is forced into addiction to the blue joy known as Wasteland and set free on the street, with no answers and only his hunger to keep him company. 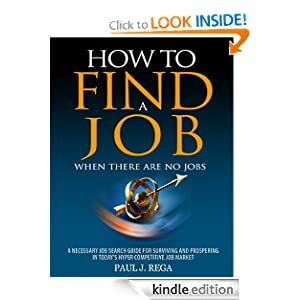 -- Paul Rega is president of a retained executive search firm he founded in 1985 and a professional recruiter with over twenty-eight years of job hunting and career planning experience. His provocative new book strikes a nerve with millions of displaced workers and goes well beyond the principles of job hunting. Paul introduces a revolutionary new concept in career management and personal development called "Intuitive Personal Assessment." He takes his readers on a powerful journey as he tells a gripping story about his own career and the challenges faced as an executive recruiter, often fraught with personal tragedy. This is a must read for anyone who is looking for a new job or wants to change careers in the worst economy since the Great Depression. In a message to his readers, Paul believes that despite the many challenges faced by those suffering as a result of the weak job market, change in one's life can be positive. He explains that, "Change throughout your life is inevitable, and as your life changes so often does your career." His book is an effective guide that will provide you with the necessary tools, skills and inside knowledge from a professional recruiter to help you navigate through difficult economic times and find a new job or change careers. 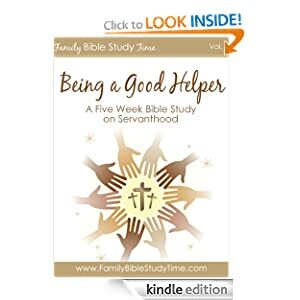 -- In this practical Family Bible Study eBook you will find 5 weekly family Bible Studies surrounding a the theme of being a good helper, or servant hood. The Family Bible Study Time series of eBooks are sure to help ground your family in the word of God!